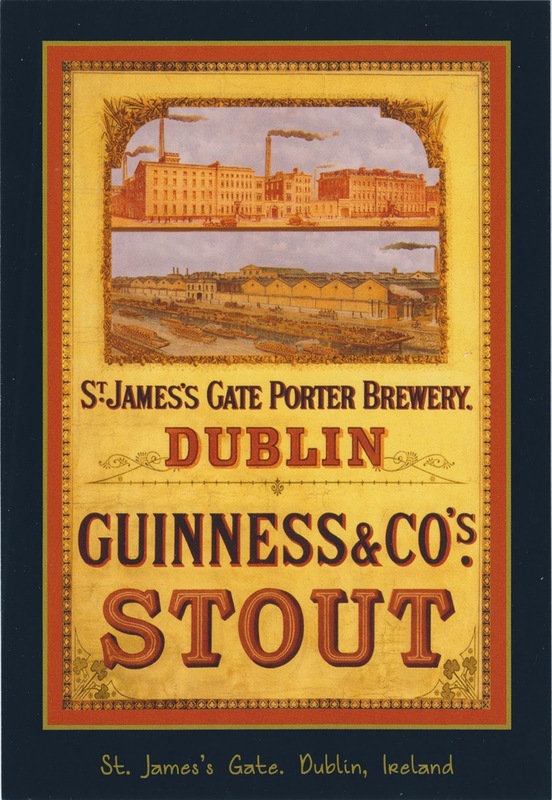 Guinness is a popular Irish dry stout that originated in the brewery of Arthur Guinness (1725–1803) at St. James's Gate, Dublin. Postcard US-2489828 to Whitefish, MT shows a vintage advertising poster from circa 1890s. The upper illustrations have Guinness Gate & offices on the top half and Victoria Quay with jetty & barges visible on the bottom half. 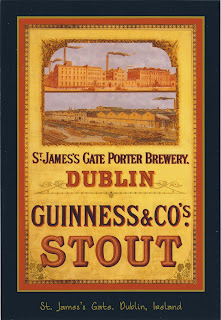 The postcard was purchased at the Guinness Store, next to Rí Rá Irish Pub inside the Shoppes at Mandalay Place in Las Vegas. It is said to have the largest selection of GUINNESS® merchandise in one place outside of Ireland.